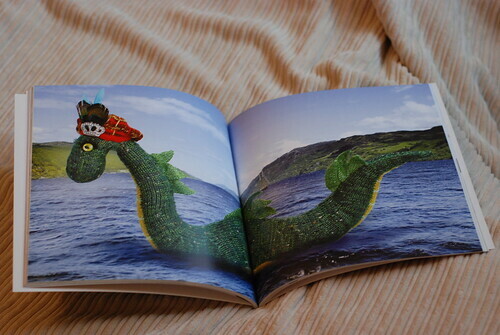 I recently received an adorable new book - Knit Your Own Scotland. 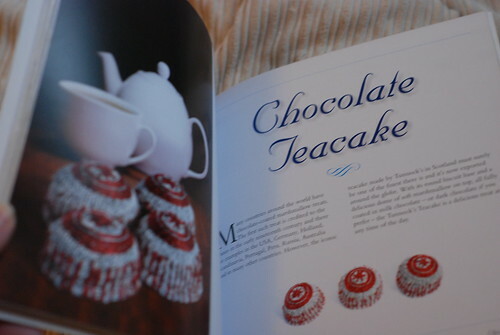 It's just what it says on the tin - a book of 14 patterns for making your own various Scottish things. Just about every Scottish icon you could hope for is included: From Robert Burns and Nessie, to a Saltire flag and highland cow, to Scotch whisky and teacakes! They're all really cute and some are just exquisitely detailed. Can you believe those teacakes are knitted and not real? 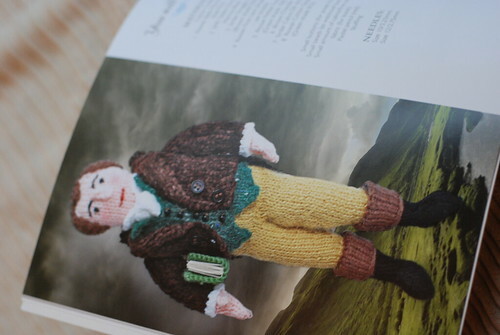 The suggested yarns for the book are all quite easy to find - Rowan, Sirdar, Debbie Bliss and the like. One thing that tripped me up at first is that amounts of yarn are not listed unless it requires more than one ball - but this makes sense as a space-saving measure when the toys are small and only need a little yarn. Needle sizes are given in mm and old UK sizes (the smaller the needle, the larger the number). I've started knitting my own Highland Cow, one of my favorite British animals (fuzzy and ginger and hair all in his face, what's not to love?). The instructions are easy enough to follow, with numbered rows and stitch counts every time there are increases or decreases, which makes it easy to catch a slip-up. There are a few abbreviations or pieces of phrasing I found non-standard (like 'inc in next' for kfb), but there is a list of abbreviations in the back. 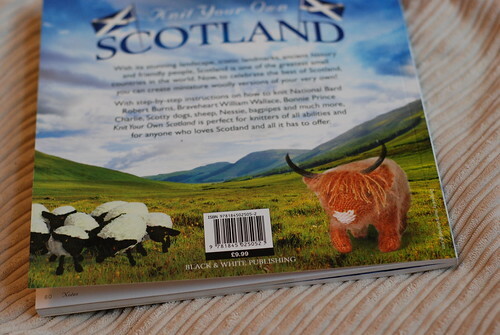 You can purchase Knit Your Own Scotland on Amazon.co.uk, and it has just been released in the US - find it on Amazon.com here. 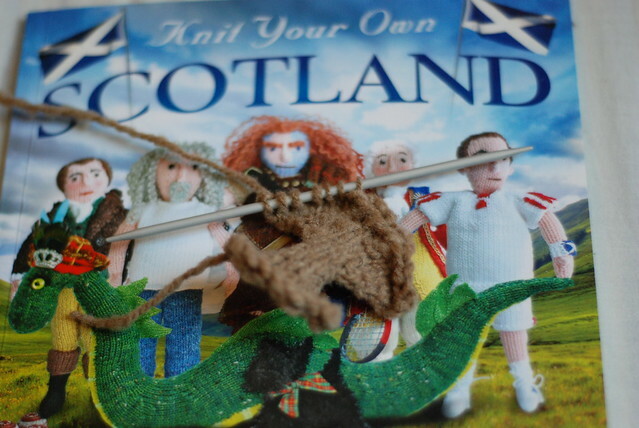 You can also find additional pictures and a very special add-on to the William Wallace doll at KnitYourOwnScotland.co.uk. Disclosure: This book was provided to me by the publisher. Highland cows are a favourite of mine too. That picture on the back cover is just adorable! Have you knit the Highland Cow yet? What type of yarn is it? I just ordered my copy of the book. I haven't gotten around to finishing mine yet, no. :( I'm knitting in some handspun CVM wool - the book recommends two colours of Kidsilk Haze knitted together.